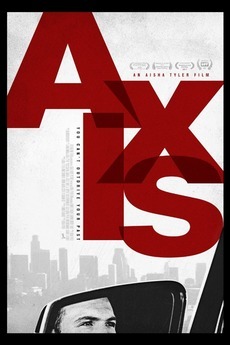 REVIEW for "AXIS", a Film Directed by Aisha Tyler, CM's Own Tara Lewis! 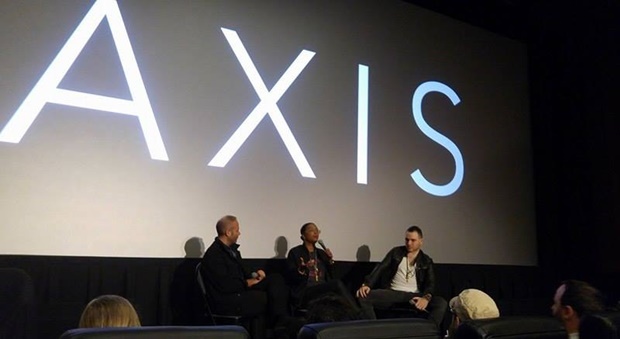 Last night I had the good fortune to attend a screening of the Aisha Tyler-directed independent film “Axis” here in Austin, and all I can say is WOW. Our own Dr. Tara Lewis continues to inspire and astound with her seemingly endless talent in every area she attempts. This movie is well worth your time and attention, and should be a contender for further awards and recognition as more people see, and recommend it to their friends, much like I’m doing now. From the opening shot of a bearded and bloodied junkie lying prone in an expensive car, to the mysterious culmination behind a closed door, we’re taken on a tightly-wound journey that’s both literal and figurative. Literal because the entire film takes place in a drive through Los Angeles (the shots of LA earning co-star status for their meticulously suggestive framing) as recovering addict and actor Tristan wends his way home to his girlfriend, eschewing the clogged freeway in favor of side roads. Figurative because we’re privy to everything that happens to him on that given day via phone calls that continuously come through his hands-free system. Written by Emmett Hughes (who also happens to play Tristan), Aisha Tyler’s directorial debut is a stunner not only because it was filmed in one week for about 200k – a mere pittance by Hollywood standards – but that it successfully tells a gripping and deeply moving story while staying on Tristan’s face nearly the entire film. Emmett’s acting is subtle and superb. He manages to hold our attention effortlessly as we watch him react to the intimate life events unfolding all throughout his drive that he’s powerless to do anything about. He’s the sole person we actually see, as everyone else appear only as voices on his phone. Criminal Minds fans hit the jackpot here, as Aisha asked her friends Kirsten Vangsness, Paget Brewster, Thomas Gibson, and Adam Rodriguez to come and play with her in this ambitious endeavor, and it’s a treat seeing (hearing) them all out of their element. Reminiscent of a radio play, the powerful performances by the voice actors, including Paula Malcomson (another CM alum from the episode Seven Seconds), and Ciaran Hinds, are not to be missed. Paget Brewster’s Dr. Lynch is particularly intense, and Tristan ignores her at his peril. Thomas Gibson as Joseph starts out very Hotch-like, but quickly devolves into sneering animus, and maybe more. Aisha’s turn as Louise has some of the best lines, she’s hugely funny and inserts a much-needed and welcome respite from all the tension. All convey a solid sincerity as they each bring their own emotional baggage and motivations, some with devastating news, to Tristan’s journey. I won’t spoil the ending except to say that I thoroughly enjoyed it, they deliberately left it open to much interpretation, and that even though there is only one right answer (given to us at the Q&A by the writer Emmett, himself), the viewer is left to decide for themselves what they believe actually transpired. 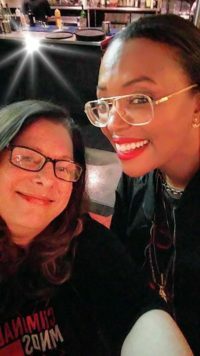 Fun Fact: I was able to ask Aisha if she’ll be directing any more Criminal Minds episodes like The Bunker from this season. She said that if CM gets another year, she most definitely wants to! Huzzah! 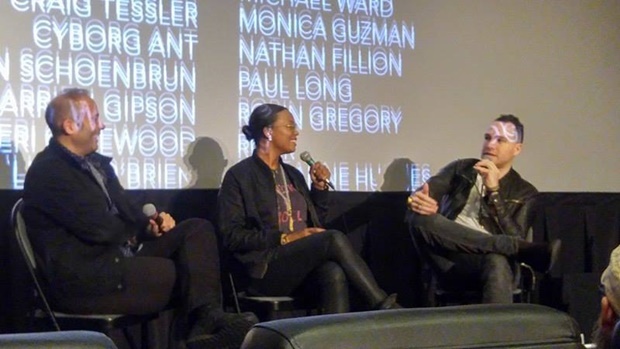 ← *EXCLUSIVE INTERVIEW* Director Tawnia McKiernan Shares Her Criminal Minds History and More! Great review! I will most definitely watch this! I was so excited when she was cast in CM a few years ago because I’ve been a fan of hers for years. I’m happy to hear that she’ll be directing more episodes! Thanks for posting this, Tari!